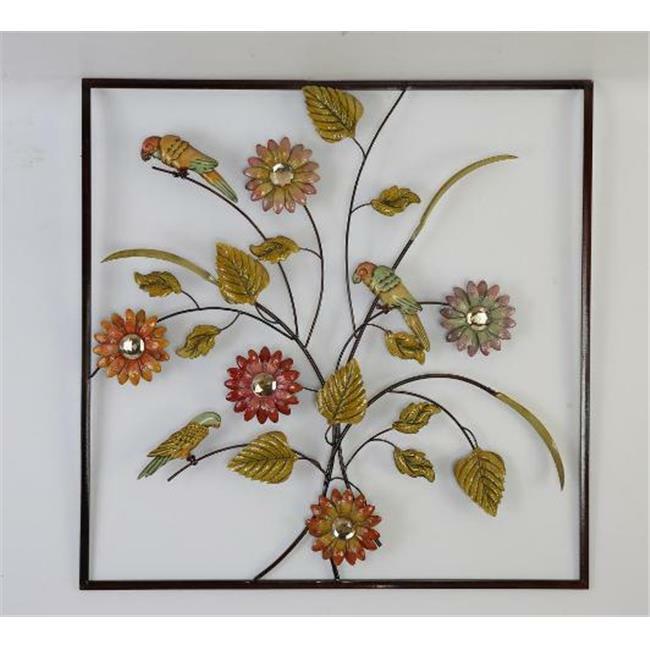 Grace your wall with this colorful, decorative, and eye catching metallic wall art and you're sure to amaze your guests. You'll be surprised at how much a little color can affect the appearance. Should it be in your office, kitchen, bedroom, living room or even your bathroom, it's sure to be an enhancement and focal point of the room. It's hand crafted and painted. Made out of a lightweight metal and easy to hang on your wall, no assembly required.